Now under the auspices of Sound United (along with Denon, Classé Audio, and other brands), Marantz is back on the map. The classic audio company has been celebrating its 40th anniversary this year with recent launches of its KI Ruby limited-edition series components in Europe and the U.S. Along with a number of (mostly) European-based audio journalists and a handful of sales folks, I had the good fortune to attend a special launch event in Amsterdam held at an incredible venue: the renowned Concertgebouw concert hall. In addition to learning about the advanced technologies that went into Marantz’s new components, we were treated to a lively talk from celebrated designer and longtime Marantz guru Ken Ishiwata, who also presented a brief demo of the new Marantz KI Ruby series gear (KI for his initials), a classic integrated amp with built-in phonostage and a CD/SACD digital player. In addition, we had the opportunity to take a guided tour of that famous Dutch hall, pictured below. Clad in a gold jacket, fittingly decked out with Asian and European touches—Mandarin collar and European buttons—the legendary Mr. Ishiwata delivered a delightful talk in his inimitable slightly sly and impish style about his background and history within the audio industry, leading up to Marantz’s 40thanniversary and the Ruby series components, named for that wedding anniversary’s traditional gift. Mr. Ishiwata’s tenure with Marantz began in 1977 when the company’s European division, based in Brussels at the time, contacted him. Mr. Ishiwata had encountered Marantz’s Model 9 (back when Marantz was a U.S. company still owned by Saul Marantz) during his high school days, but was immersed in a Japanese hi-fi world dominated by Sansui and Pioneer. The Japanese approach came from radio rather than hi-fi, so eventually, after Marantz was acquired by the Japanese firm Superscope in 1964 (and later by Philips in 1980), American engineers were brought in to train their Japanese counterparts. (The Japanese engineers had to study these new techniques for five years before they were allowed to design any amplifiers.) As new products were developed, miscommunications about testing techniques and distortion and power measurement standards resulted in discrepancies in specs and playback quality. Mr. Ishiwata’s first job with Marantz was to resolve these issues between engineers in Japan and Europe, while working out how to measure distortion more precisely. He learned a great deal from this experience, and in 1979 Marantz began using him as a consultant for its loudspeaker business. 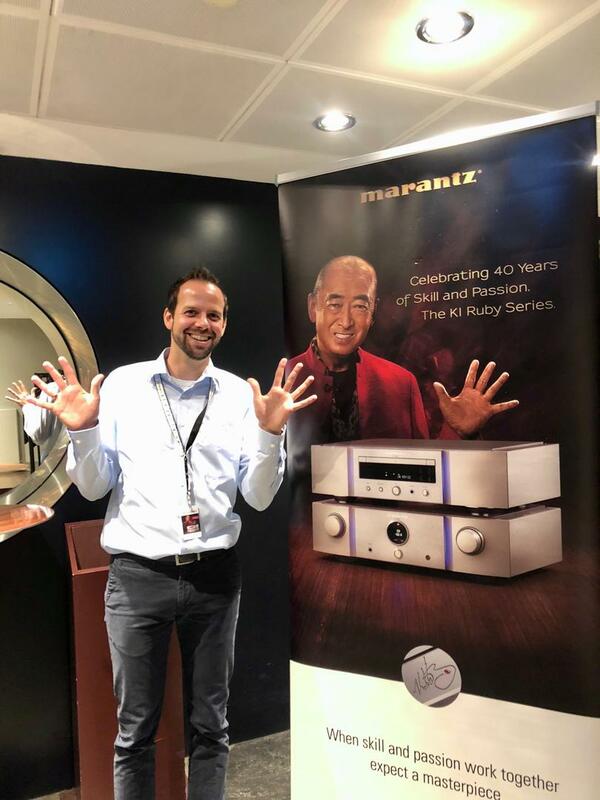 Mr. Ishiwata has continued to work for Marantz through the digital age, right up to the introduction of its Ruby series components, which Ken Ishiwata engineered and voiced. Next in the program, longtime Marantz Senior Engineer Rainer Finck provided an in-depth look at the new limited-edition KI Ruby series’ technologies and features. 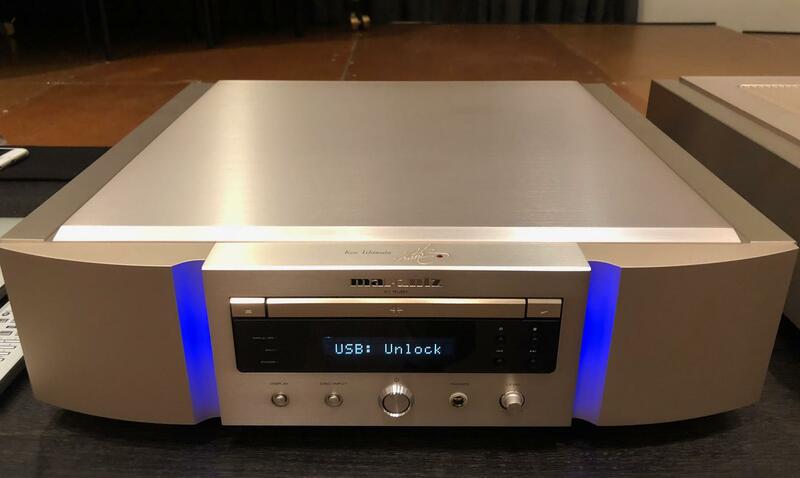 Unsurprisingly, one challenge was figuring out how to fit all the function blocks into a smallish chassis; both the PM-KI Ruby integrated amp and the SA-KI Ruby CD/SACD player utilize housings of the same dimensions, and can be operated by a single remote control. The integrated’s preamplifier section, also known as the PM (or PreMain) amp, contains a newly designed phonostage where the mm and mc circuits use cascaded discrete transistors. It has active volume and preamp gain stages—plus two recorder tape loops—that can be bypassed for power-amp-only use. The PM also contains a discrete headphone amplifier with automatic switch-off when speakers are connected. JFETs are used in parallel to lower the noise floor, and op-amps are only used out of the signal path. The volume control is handled via a resistor network rather than a potentiometer. Balance and tone controls are also part of the package. 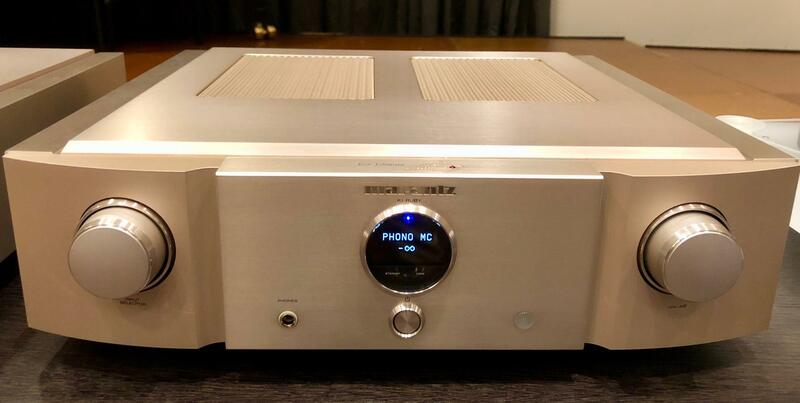 The integrated’s amplifier section uses a special switching technology (though Marantz prefers not to call it Class D) similar to that found in Marantz’s PM-10. There’s no analog-to-digital conversion, but the signal gets transformed into pulses with the driver circuit increasing the pulses’ amplitude. While this approach is said to be powerful and efficient, it requires the use of an output filter. Rather than putting a feedback loop before the output filter, Marantz uses a patented technology that takes the feedback right from the speaker connection and allows the amp to correct for distortion. This integrated could be called a purist’s example of a two-channel analog amplifier, as it contains no digital inputs. From a commercial standpoint, this means that the two Ruby components are intended to be sold as a pair to support both analog and digital sources. The SA-KI Ruby CD/SACD player with DAC contains a Marantz-developed CD drive that will also play back CD ROM and DVD ROM audio files. Digital connectivity includes USB types B and A, with asynchronous USB input for hi-res audio playback of up to PCM/DXD 384kHz/32-bit and DSD11.2MHz. Rather than using a standard DAC, Marantz handles digital-to-analog conversion via its proprietary one-bit Musical Mastering Conversion technology. Two precision clocks are employed as well. Digital formats get upconverted to DSD. A toroidal transformer-based power supply and a dedicated, discrete headphone amplifier round out the player. 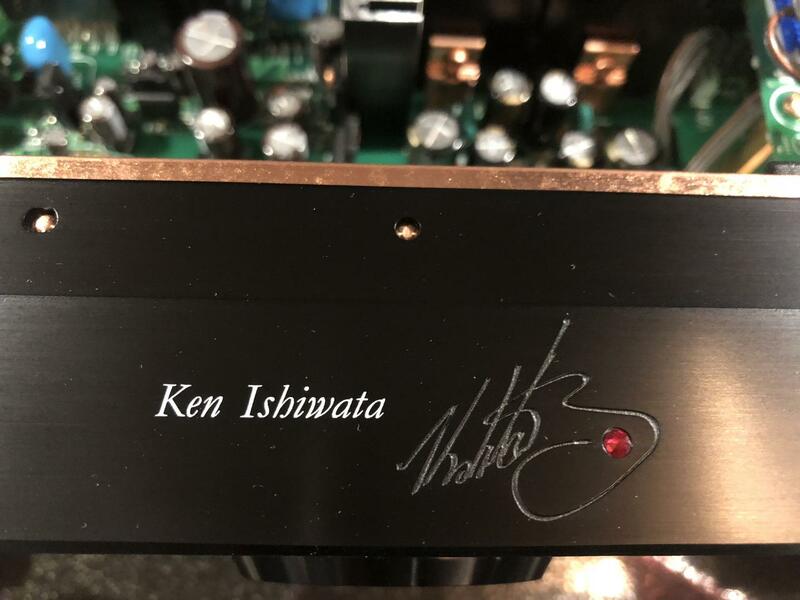 As for the special limited-edition aspects, each KI Ruby unit bears an engraving of Ken Ishiwata’s signature on the front panel, accented with a ruby motif detail. There are only 1000 KI Ruby sets available in Europe, 500 sets in black and 500 sets in gold, all numbered and priced at €4000 each—and 1000 sets of units retailing for $4000 each or $7000 for the set in the U.S., where the series launched at RMAF. How did the KI Ruby pair sound? 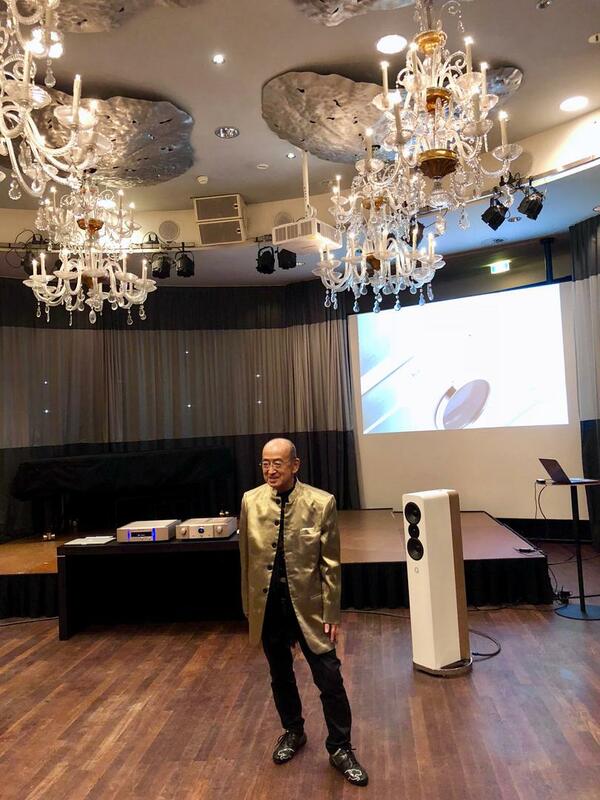 Mr. Ishiwata presented a brief demo of the Ruby integrated amp and CD player with DAC in a system with Q Acoustics Concept 500 speakers from England and vinyl playback via a Clearaudio Emotion turntable and Clearaudio Concept cartridge. As listening time was brief, I’ll describe the experience in broad strokes. Generally speaking, the sound registered as big and bold, with (recording permitting) impressively large and open soundstaging—which Mr. Ishiwata mentioned has always been a major priority for him, ever since his early days as a fan of classic Marantz gear. Resolution, including richness of details and instrumental textures, was higher than expected, especially given these less-than-stratospheric price points. Good news for music lovers who (like me) enjoy multi-genre material: The Ruby components seemed to fare well across a broad spectrum of styles. 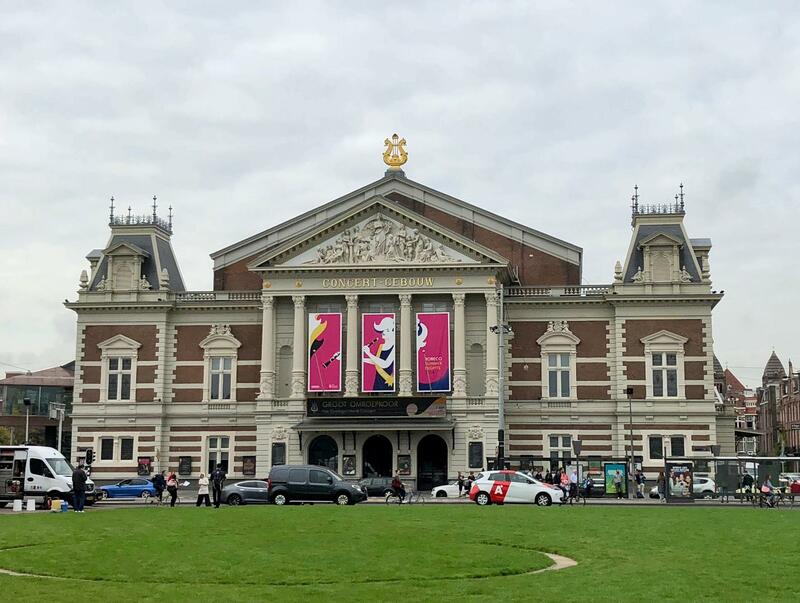 Prior to these presentations, which took place in an elegant, mid-sized room discreetly tucked away just below the main floor of the concert hall, the event’s attendees took a guided tour of the Concertgebouw. Considered one of the world’s great-sounding concert halls, it first opened in 1888 and was extensively renovated in the 1980s. All told, this event celebrated Marantz’s 40thanniversary in befitting grand style in a world-renowned “mecca” for music. Coming soon: Photos and a report of the behind-the-scenes Concertgebouw tour.